It’s been a while since I have been impressed by an Horror Movie coming out of Hong Kong. In the late 90s Japan was the leader of Asian Horror Movies with movies such as Ringu, Kairo, Ju-On. In the early 2000s Korea (The Wig, A Tale of 2 Sisters..) had a strong wave of Horror Movies followed closely by Thailand (Shutter, 4Bia..). 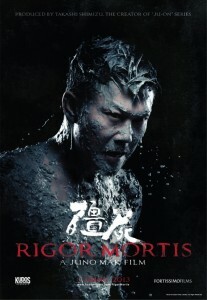 Is it now time for HK Horror Movies to take the lead. When looking at the extremely promising trailer for Juno Mak’s Rigor Mortis, it definitively looks like it!